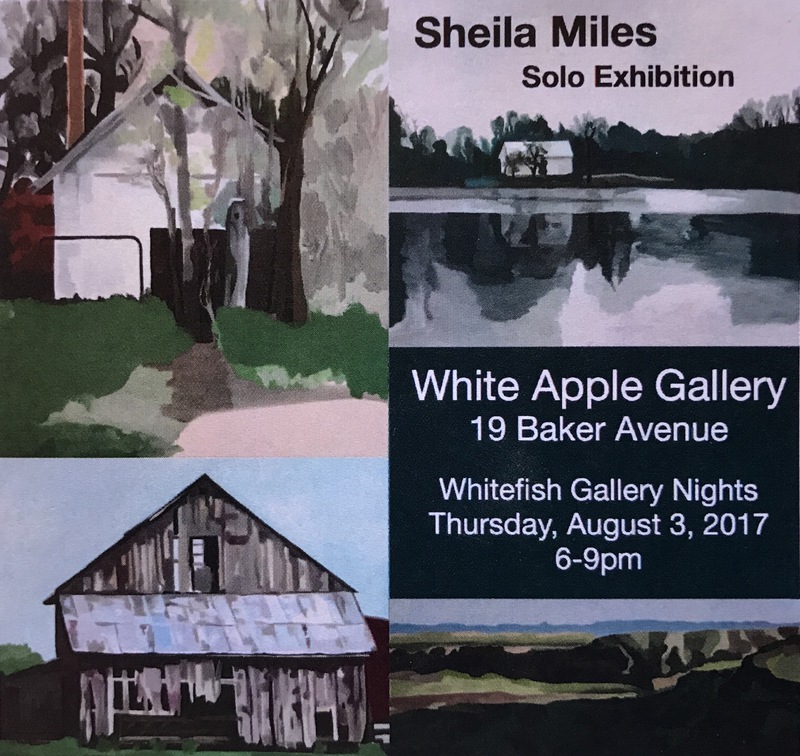 Please join us to celebrate the opening reception of Sheila Miles debut show in Whitefish, MT. She is one of the most accomplished contemporary western artists in Montana and the West and is represented in 17 public & museum collections. She currently lives in Santa Fe and after a recent and very successful one woman show at the Missoula Art Museum is going to be here in person in Whitefish for the opening reception of her solo show of 16 new pieces at White Apple Gallery. Please join us in welcoming this accomplished artist to the Flathead during Whitefish Gallery Nights, Thursday Aug. 3 from 6-9 PM. 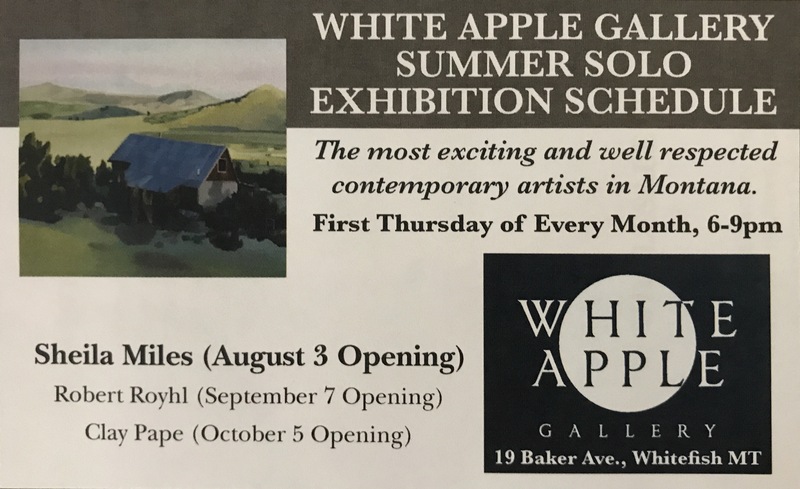 White Apple Gallery is located at 19 Baker Ave. next door to Markus Foods, with a second entrance a half block off Central Ave. on 1st street, across from the new parking garage.